There have been some extremely rough headlines looping the news over the past few weeks. I’m certainly not implying that the standard news is a bucket of rainbows and unicorns, but certain stories are under heavy discussion on social media at the moment. I’ve been upset by what I’ve been seeing as well, but I’m not going to detail any specifics of that here. As a bonus, I’ll delete any comments that appear to be sporting the magical scent of Eau de Pandora’s Box. However what I will say is this – there is boundless good in the country and in the world. One month ago, countless residents in my city found themselves several feet under water. The rain continued to inundate southeastern Texas and the days to come would reveal tremendous losses for so many. Before the rains ceased, people of all backgrounds were already wading through treacherous waters to help their neighbors. Others were en route to join the rescue efforts. When the skies cleared, the rest of the community raced to assist anyone in need. Taking care of our fellow Texans was all that mattered. There was no distinction of class or color or faith or politics. People housed family members, friends, and strangers. The number of volunteers and physical donations were so extensive that shelters had to turn them away repeatedly. The neighboring states came out in force as well, and support poured in from every corner of the globe. The hurricane created areas of devastation that brought many of us to our knees from grief. However the response of love in return was stunningly beautiful. I sincerely believe that this incredible experience of broad human benevolence was the divine gift of the storm. A gift such as that is rare and precious and should never ever be forgotten. The darkest hours often serve as the times when the brightest light can be found. We stand by each other when the most difficult moments of our lives confront our communities. The differences vanish, and we see the Truth that we are souls united together in this human experience. We are going to have our differences – huge differences. There will be times when we will fiercely disagree with other people’s actions or words. We will expect all to understand why we are right, and we will try to convince the opposing parties to concur absolutely with our “correct” views. But as we grow angrier and louder, the lines of division get deeper and more pronounced. Speaking personally, if you want to try to open my heart to anything at all, approaching me with ferocity and rage is the fastest way to shatter any chance of that happening. Again I’m not saying that I don’t have strong emotions regarding what is happening. I just know that I have walked a different path than every other person out there. We each see the world through our own filters that are based on our personal experiences. Of course I believe that I’m right (because I am!). But then again, maybe I’m just right for what I personally know at this moment. My responses to situations years ago seemed correct at the time, but they would not necessarily be the same as the responses I would have today. Taking it a step further, I am genuinely saddened at some of the choices I made in the past, and if I was in the same situations today, I wouldn’t repeat those mistakes. But I didn’t see it that way then. We don’t have to agree, and if we did, I would be letting you know what’s correct (because as my husband can confirm, I have all the answers). It shouldn’t take a mass tragedy to reveal the best parts of ourselves and of those around us. So for this moment right now, I want to soften my own heart. I’m going to turn my attention to the immeasurable good that I have experienced since the hurricane while I also remember the innumerable times I felt it before the storm. I need to turn off the noise of the media and tune out the focus on a degradation of our communities. There are endless numbers of beautiful true stories to be found. If we choose to fixate on anything else, that’s on us. Recognize that you will make different choices because your perspective is not the same as anyone else’s. This is part of the grand design. If you don’t like a choice someone else makes, make a different one. If you are hurt by a person’s actions, don’t replicate the behavior. If you really want to be heard by another, try truly listening to them first. Your anger will never soften another person’s heart nor will it heal your own hurts. But your sincere love and compassion just might. 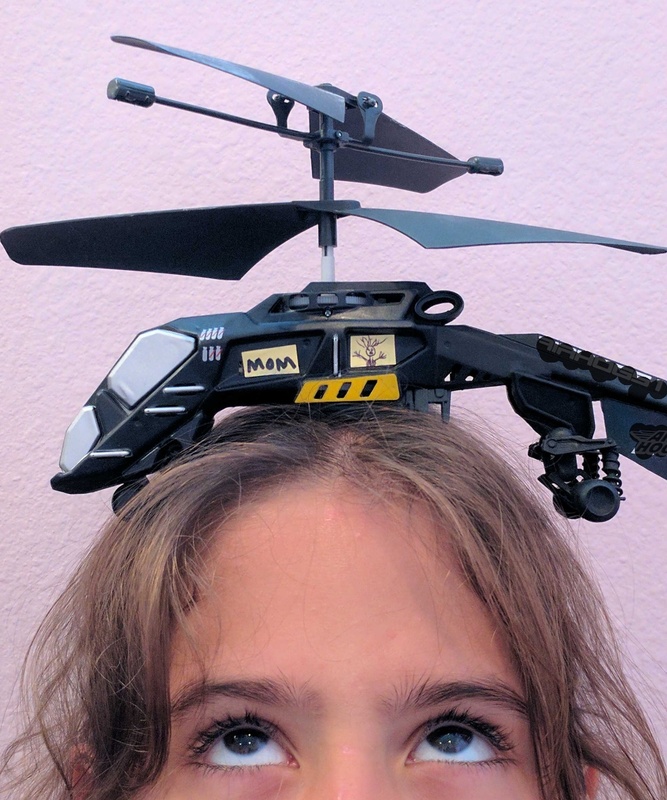 Being accused of being a helicopter mother (one who perpetually hovers) is irritating beyond words and doubly so when you know that it’s true. I prefer to think of myself as more of a Millennium Falcon kind of mom who swoops in to save the day with swagger and a tall hairy guy by my side. In my version, the hairy copilot is my husband, we don’t ever have to hide out in a giant trash compactor, and my kid refrains from delivering me a swift death a few years down the road. Earlier today I was walking through the house and heard a high pitched “cheep cheep cheep!” out one of the back windows. 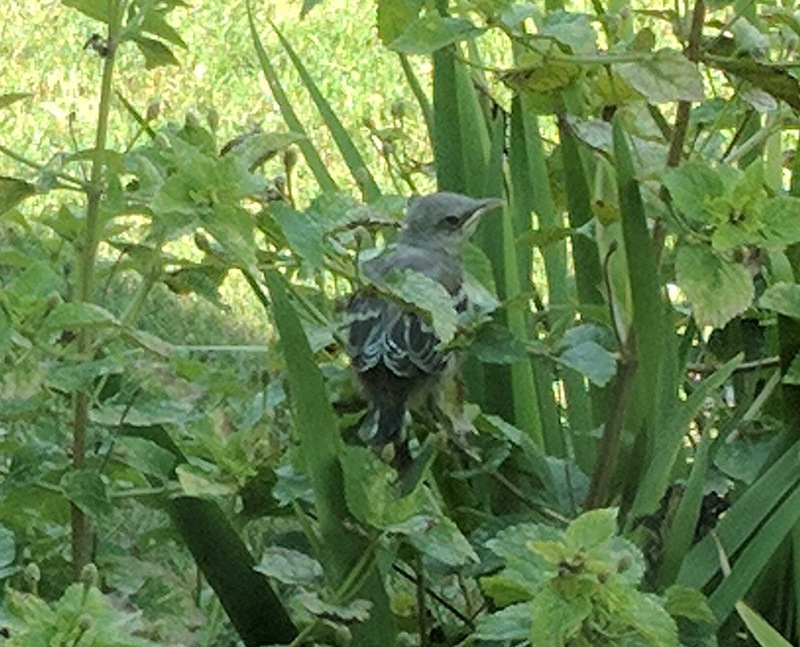 Alarmed at the sound of distress, I rushed over to look and confirmed that there was a baby bird flailing around one of the plants in my garden. What was I to do? I hadn’t hunted for worms and grubs since the local Wal-Mart had opened, and despite my newly acquired upper arm wings, I had yet to master the fine art of flying. I’m not a licensed ornithologist (thank heavens because I’m sure that people would comment on that ID photo as well), but extensive reading has led me to suspect that my inability to fly may have something to do with the combined effects of gravity and my being a human. So I stood there worrying immensely for three whole seconds. And then the mama bird made her appearance. She looked about as worried as Snoop Dogg in a smoke shop. That bird was chill fo’ shizzle. She dropped off a bug and headed right back out. Immediately thereafter the chick checked himself (before he wrecked himself) and got situated on a branch. The baby bird was fine. He was fine the whole damn time! He was just testing out something new, and, unsurprisingly, it was unnerving for the little guy. I keep replaying that scene in my mind and find myself heavily contemplating the clear lesson with respect to my own parenting choices. I have come to the only logical conclusion one can reach after experiencing such a simple yet profound occurrence. I’m going to have to hire the mama bird to raise my children as soon as she boots her bird kid out for good. Between the two of us, it is obvious that she is the only mother that has figured this parenting thing out. I, on the other hand, am immeasurably less chillax about my own children and their attempts to spread their wings. Every inch of my soul wants for them to take flight, but it often feels like I’m screaming “Fly fly fly! !” while maintaining a death grip on their ankles whenever they attempt to do so. They say, “I want to do XYZ,” and my immediate reaction is to steer them back toward ABC in an attempt to protect them from potential disappointment. The bitter irony is that their efforts are rewarded with disappointment right out of the gate, because I never really allowed them to try. So as I said previously, I’m going to have to hire the bird mom. Or maybe…just maybe…I can learn a little something from the wisdom I saw today and give my own little chicks a chance to spread their wings while I release my grip (veeeery sloooowly). Perhaps I can tie a string to their ankles and let it out millimeter by millimeter (like kid kites). Clearly I don’t have the details worked out. I just know that my kids are ready to soar, and I need to summon the strength within myself to allow them to do it.